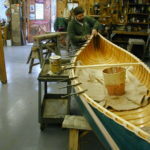 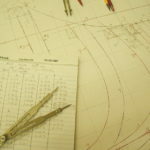 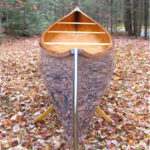 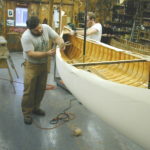 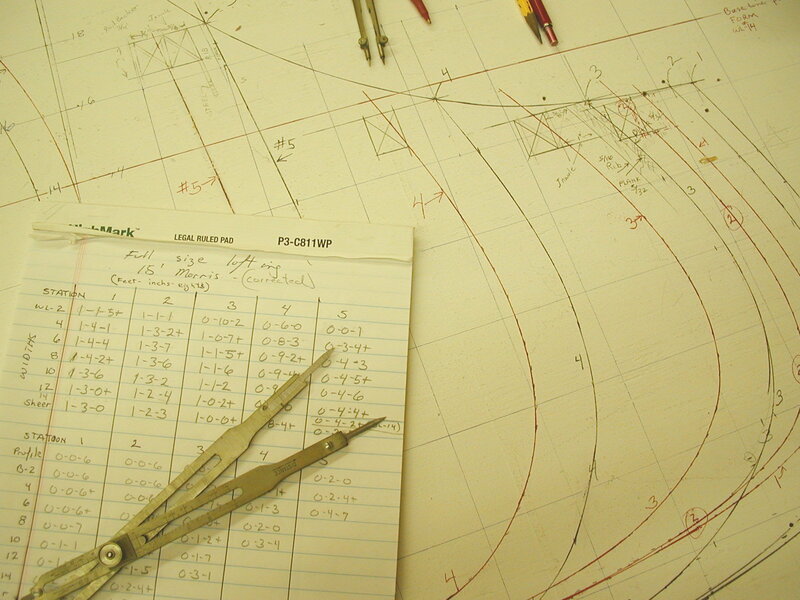 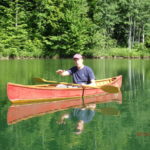 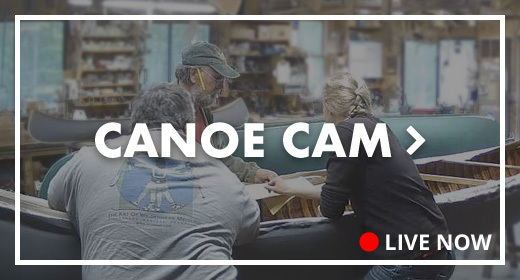 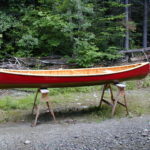 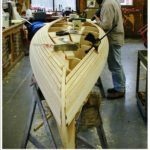 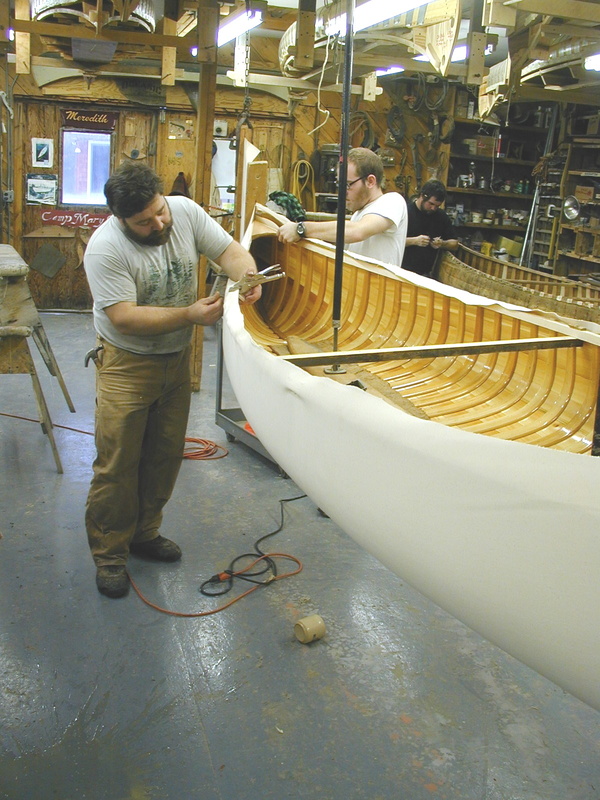 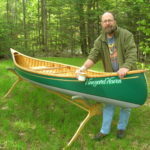 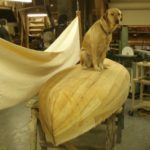 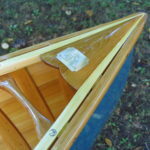 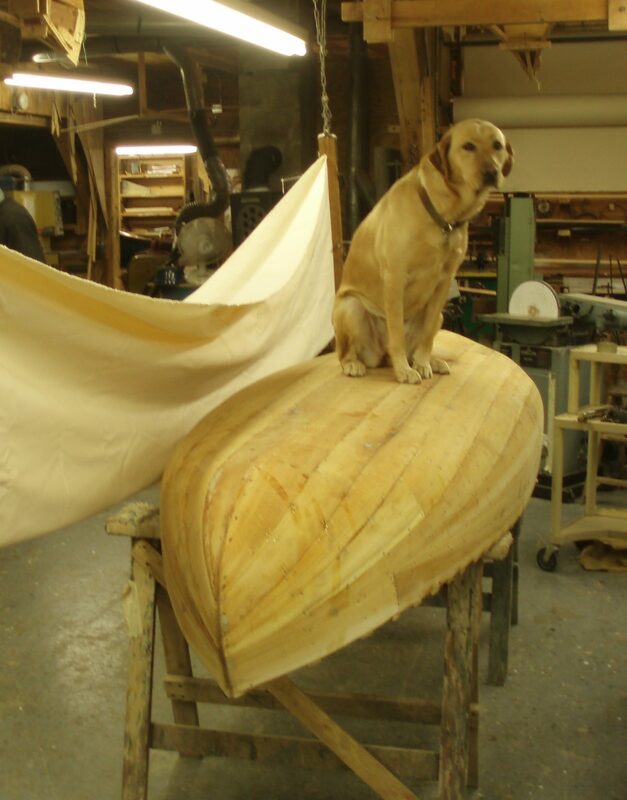 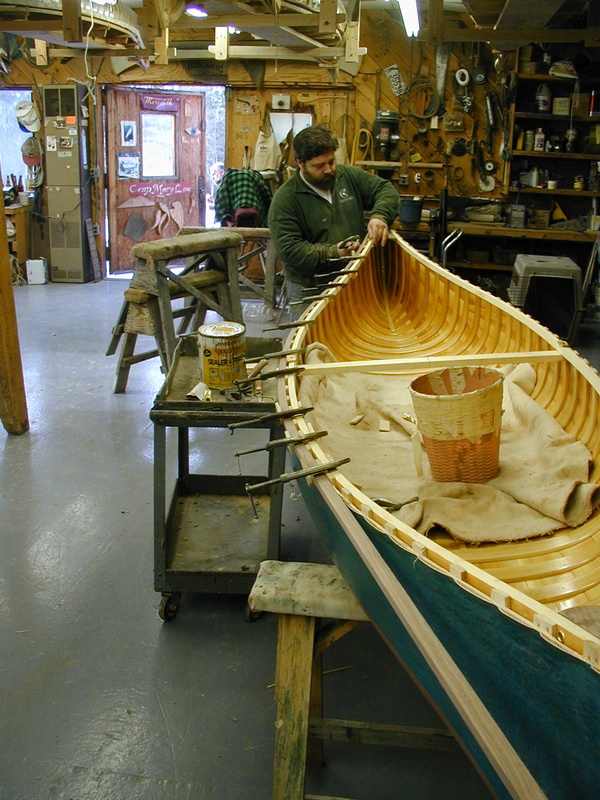 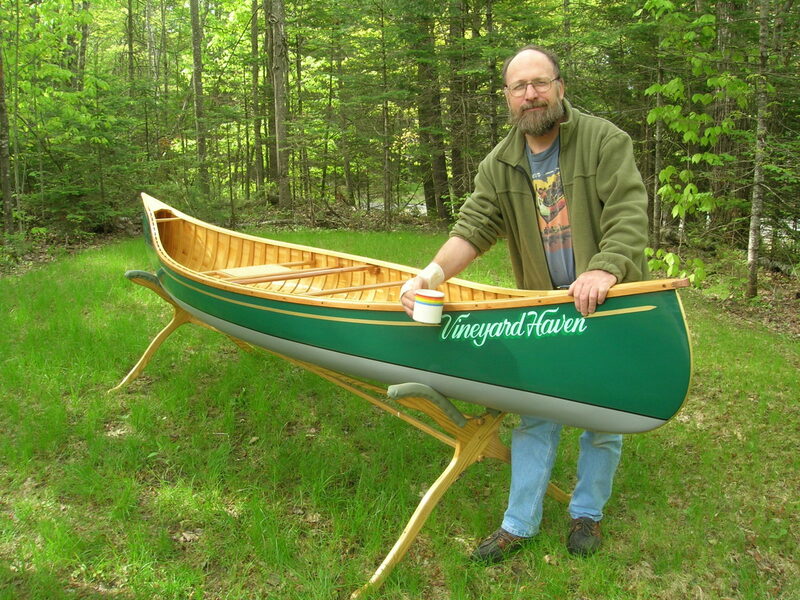 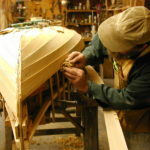 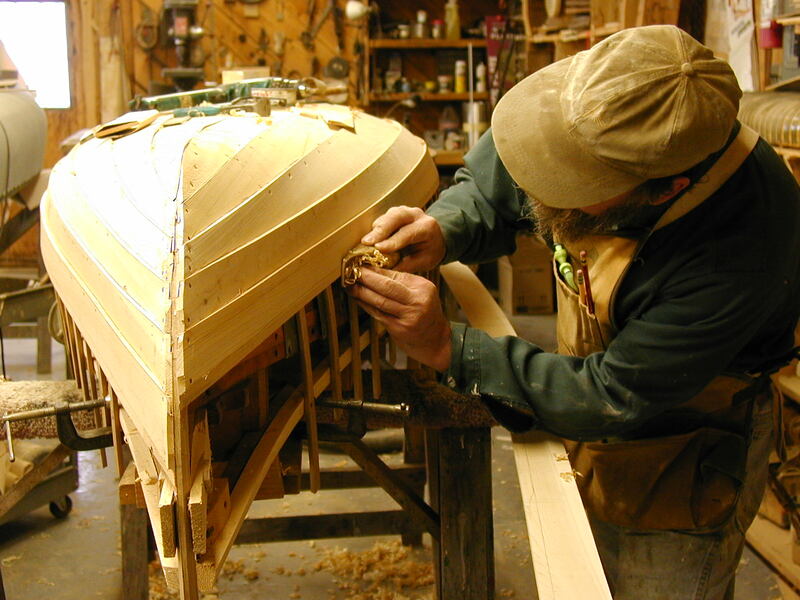 Photo Gallery - Northwoods Canoe Co.
Bean inspects the Whisper’s wood hull before it is canvased! 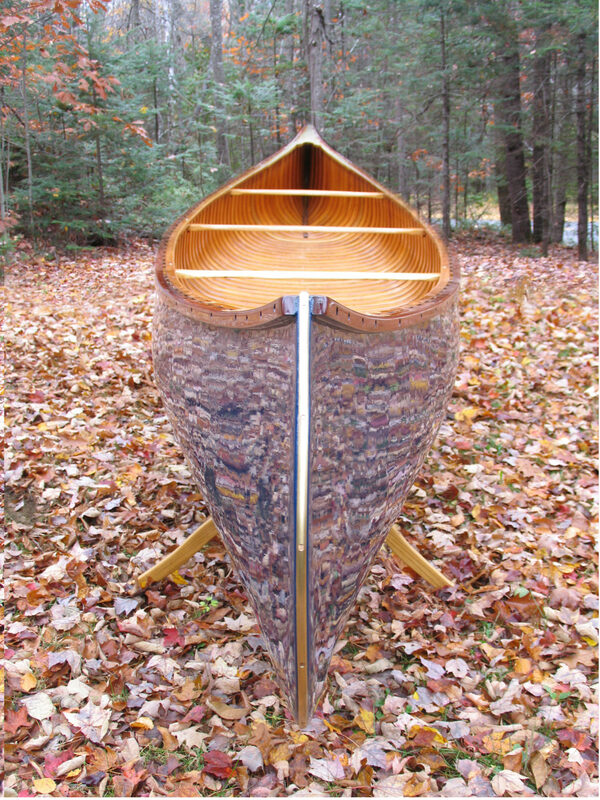 10′ Whisper with a custom paint design. 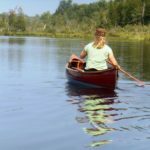 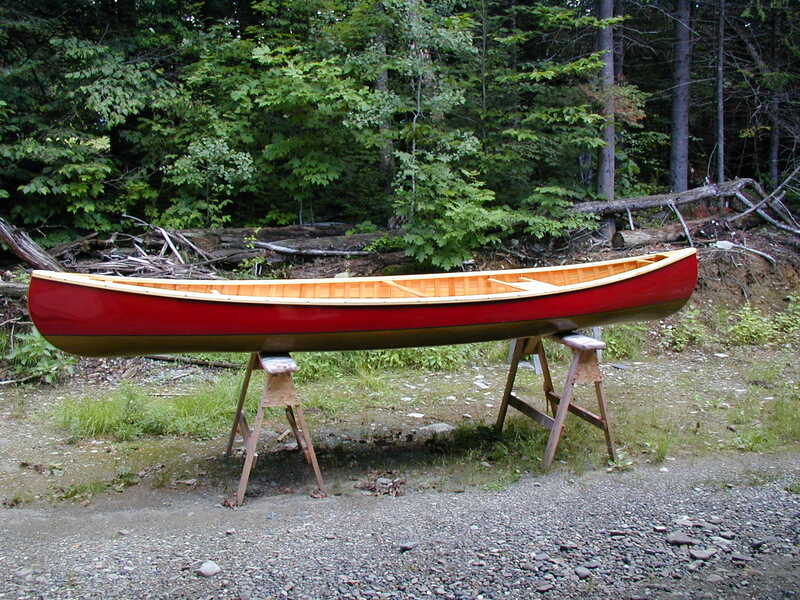 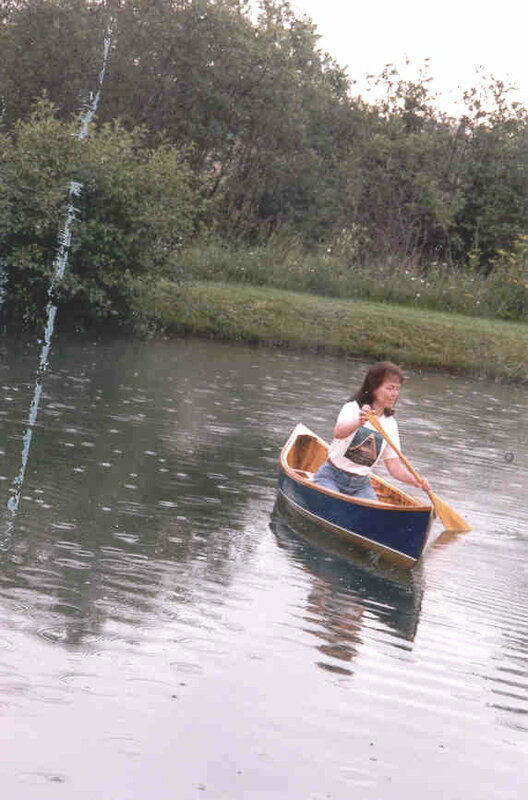 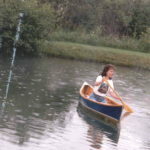 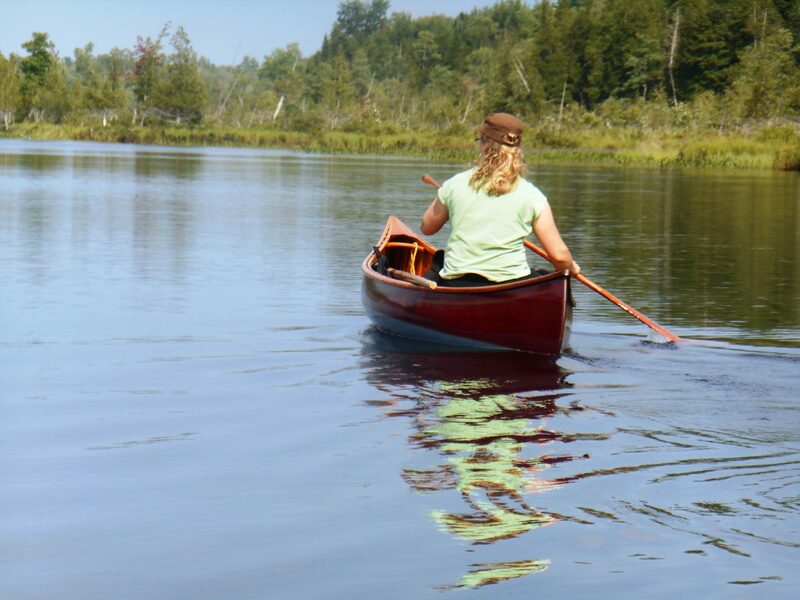 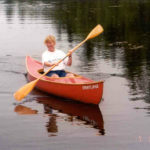 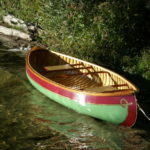 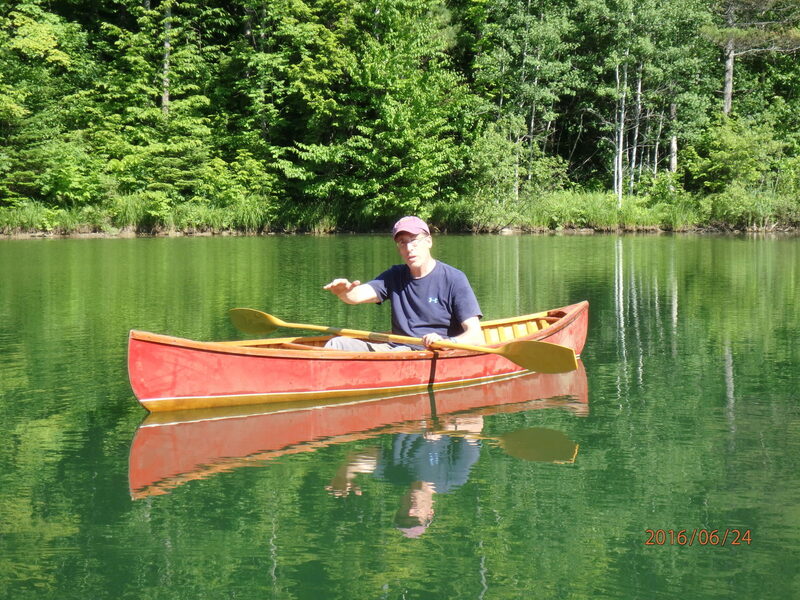 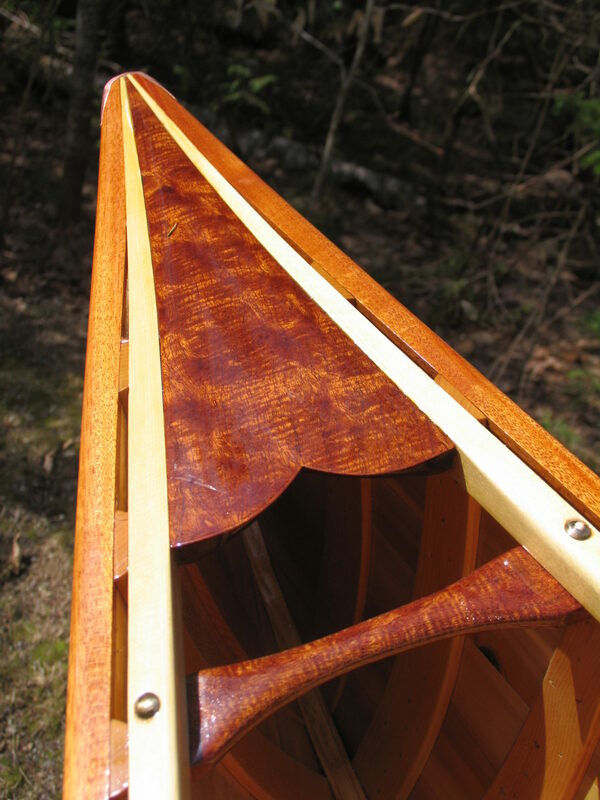 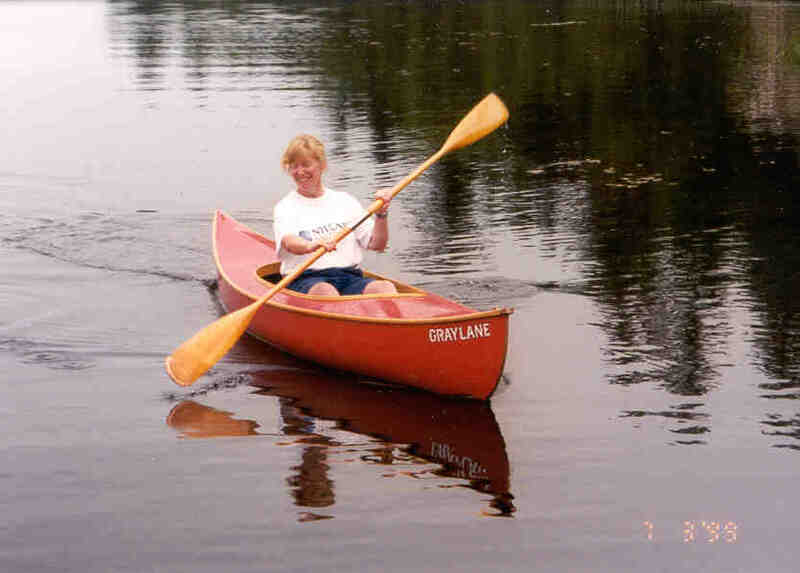 Paddling the wood-canvas Skimmer by kneeling and leaning on the seat. 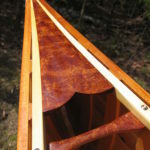 The wood-canvas version of the Skimmer. 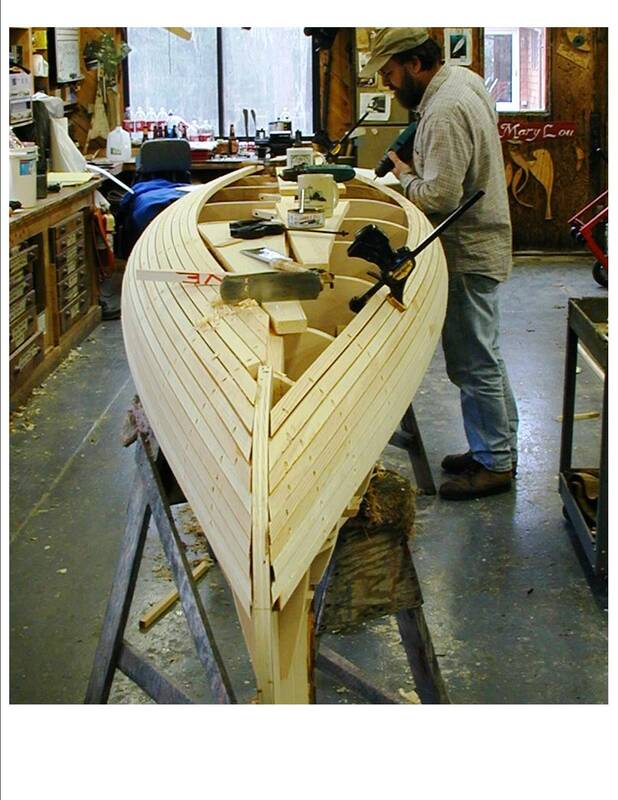 Installing the outside rails on the 13′ American Beauty. 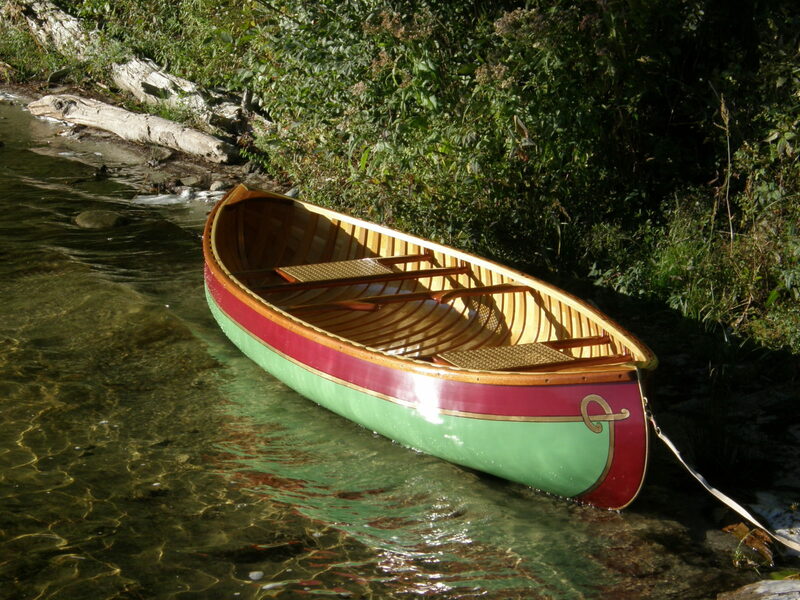 The 13′ American Beauty is a pleasure to paddle solo. 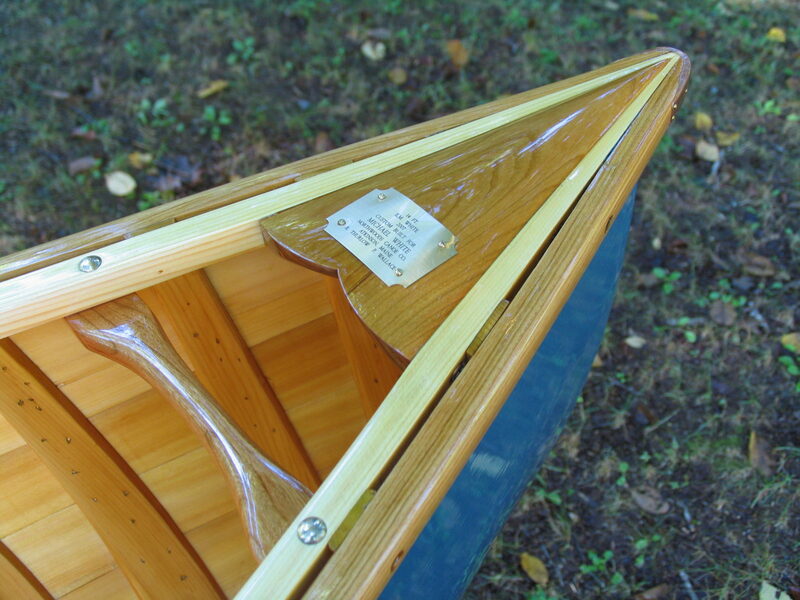 13′ American Beauty with two tone paint, custom trim and hand-painted name.